Shriek of the Mutilated is one of the great drive-in films of all time. It symbolizes the perfect 1970's independent horror film - cheap, gruesome and unerringly fantastic, with plot twists and imagery that stay long in memory - in this case, a result of the meeting of several great filmmakers, who pooled their particular talents to create what might be considered a "hybrid" of various earlier grindhouse/drive-in genres, including speculative documentary, horror, and sexploitation. Indeed, the mastermind behind Shriek may be its director, Michael Findlay who, along with his wife Roberta, created some of the most notorious and successful sexploitation "roughies" of the 1960s, including the infamous "Flesh" trilogy starring Findlay as the quintessential one-eyed misogynist, Richard Jenkins. 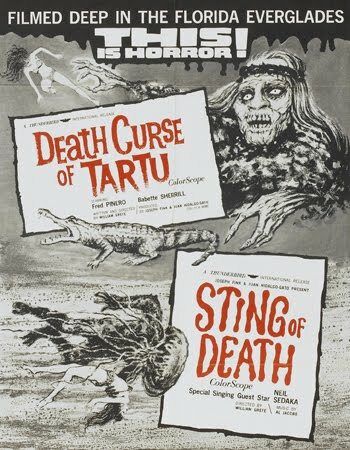 Shriek shows that Findlay had a flair for horror and suspense as well, and in harness to his wife's astute cinematography, managed to create a film which, although not in his usual genre, stands above all his others as his inarguable masterpiece. Much credit must also go to producer/screenwriter Ed Adlum, who in addition to concocting the hare-brained scenario with Ed Kelleher, gave the Findlays free reign to film the screenplay in their own inimitable style. Yet Adlum's presence can be felt throughout Shriek, which shares stunning narrative and aesthetic similarities to his earlier drive-in smash, Invasion of the Blood Farmers (1972). In both films, a rural New York community is invaded by a killing satanic cult! In Farmers it's druids, in Shriek it's cannibals, but the effect is largely the same. Also, both films share a marvelous depiction of suburbia as it edges towards the rural wilderness, and both films are remarkably attractive in their capturing of the natural beauty of the surroundings, tainted by human evil and savagery. There's something refreshing about seeing a little movie like this. 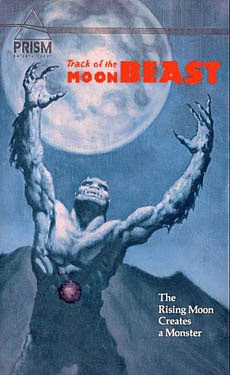 Track of the Moon Beast is one of the countless regional films made during the last golden age of the drive-in. Produced in a location light years removed from Hollywood, seldom employing name talent, these films also had an authenticity for their time and place that any studio product would lack. This down-home kind of charm would be completely lacking from screens in just a few years, as movies (even those made for the direct-to-video graveyard) became more generic. Also, viewing some of these films like The Alien Encounters or Ghosts That Still Walk would become all the more personal, as everyday people (like you or me) in drab everyday locations (like yours or mine) are seen encountering unusual phenomenon. And in many instances, we are further endeared due to the fact that with these same resources, we could have made these movies too. In the 1980's, the duo of Jeffrey Obrow and Stephen Carpenter made a trio of modest low-budget horror films: each sharing writing and directing credits, while Carpenter also doubled as cinematographer. Perhaps the best of the lot is their final collaboration, The Kindred (1987), as it had enough money for some cool makeup effects to compliment the offbeat story. 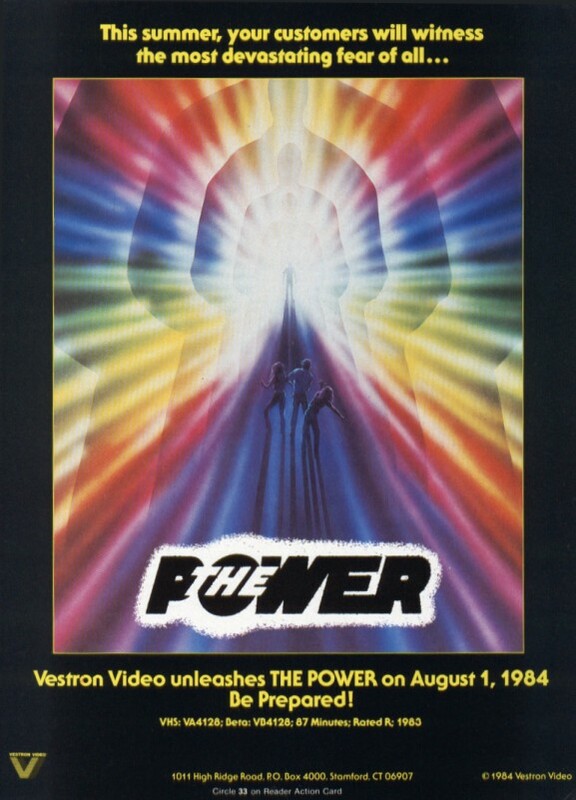 Their second film, The Power, is an ambitious, if not entirely successful horror update of the old Manhattan Melodrama formula. Instead of viewing an overcoat passing from one owner to the next, one is treated to a mosaic chronicling the odyssey of an Aztec doll, which holds a curse that wreaks havoc on anyone who possesses it. Over the years I've retained a certain fondness for this horror flick after my single viewing, and some of that appeal is retained in slightly more mature eyes. In this tale, four archeology students on assignment in the Everglades unwittingly disturb the resting place of the medicine man Tartu. First he summons sharks, snakes and crocodiles to dispatch of these insensitive kids who awakened him with their rock and roll music, before doing the job himself.